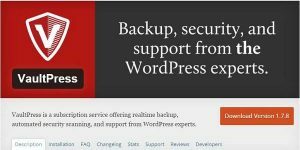 How To Backup Your WordPress Site In The Right Way? Today, almost every WordPress user realizes the significance of hardening their website security and protecting it from hacker attacks. Possibly, you may already be following several recommended tips and performing essential tasks to keep your WordPress site secure. But, remember despite the efforts you might make in protecting the site from getting hacked, you can still fail in keeping your site safe from hacks. After all, there isn’t any one-size-fits-all approach that could ensure 100 percent security of your WordPress website. What if your website security is compromised and its data is stolen? Needless to say, this is something you’ll never want. 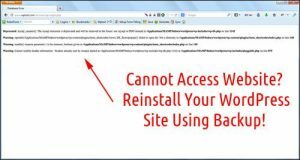 This is why it is important for you to create a backup of your WordPress site. Creating your site’s backup can help you restore all your lost data as well as altered files in no time. 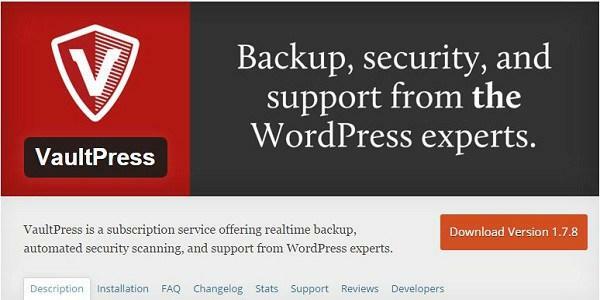 This post is written to help WordPress users understand the right way to backup their WordPress site. 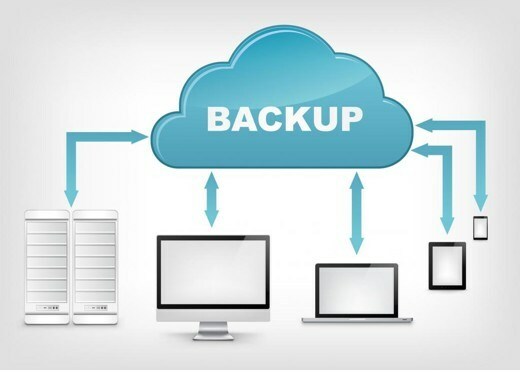 But, before we delve into the depth of backing up a website let us first have a more detailed view of the need for performing website backup. 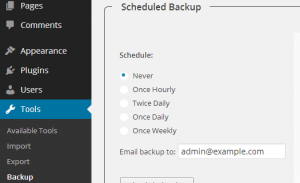 Why Must You Perform WordPress Backup Anyways? Whilst, you can find many different ways to secure your website, all of the security measures falls into one of these two categories: disaster prevention and recovery. Disaster prevention helps your site from attacks and trouble, such avoiding brute force attacks by restriction login attempts, using plugins to monitor your site for spam and so on. In contrary, disaster recovery comes in handy once your website is attacked. Since there isn’t any fixed solution to ensure complete security of a site from vulnerabilities and hackers, you must search for a way that could help in recovering from an unfavorable situation. For this purpose, you must create a series of backups as it can contribute to restoring your website at any time to its original form. When it comes to recovering your site using a backup, there are some best practices worth considering. We’ll discuss that in the next section. When it comes to creating a backup, many site owners can’t know what all they should backup to keep their site secure and running. Remember that in the worst case scenario, when your site is attacked you can’t determine the damage that will be caused to your site. And so, it’s better to backup all your website files and database. In addition, if possible, keep a backup of your server configuration as well. Storing your site’s backup on cloud storage helps in saving it on reliable places like Cloudfront, Amazon S3, etc. But, an excellent fail-safe approach to storing your backup requires downloading it to a known location, such as your system’s hard drive. We can’t predict when something bad will happen, so it’s imperative that we have a backup of the most recent version of our site. A backup might not be of any value if its a month old. Especially, if your site gets heavy traffic or you upgrade your site quite frequently, make sure to create a backup of the site each day, or after a few hours. Often at times, we become so engrossed with handling other important website tasks that we forget to create a backup of our site. For that reason, it’s necessary to search for a solution that could schedule the backup automatically. This can be achieved with the help of BackupWordPress plugin. 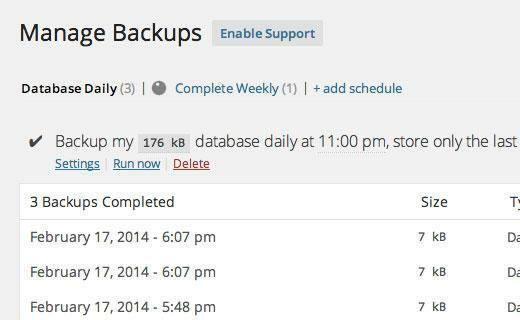 The plugin helps in creating a schedule for backing up your website files and database. 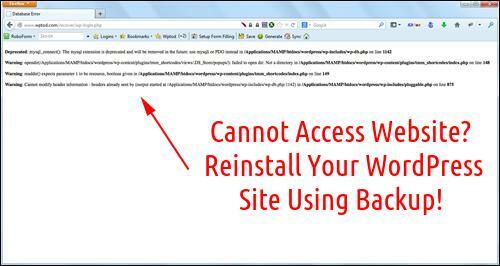 The only downside to using BackupWordPress plugin is that its free version does not provide cloud storage capability. However, you can attain such functionality by purchasing a premium extension of the plugin. 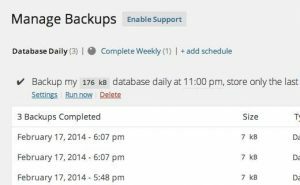 If you’d like to use a plugin that is dedicated to creating a backup of your site’s database, then WP-DB-Backup is worth a try. It makes the process of creating backups of WP site’s database simple and straightforward. 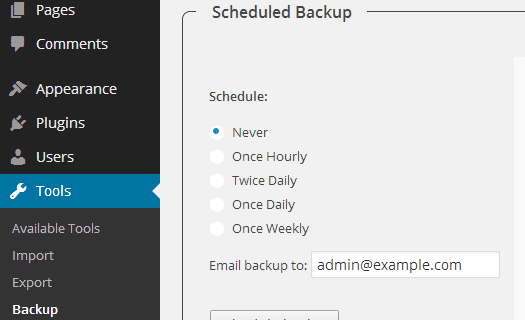 Also, it schedules database backup automatically on an hourly and weekly basis. One issue with WP-DB-Backup is that it does not help in backing up files. Thus, you’ll need to backup all your files manually. VaultPress is one of the most commonly used backup plugins – that was founded by WordPress creator Matt Mullenweg along with his team. 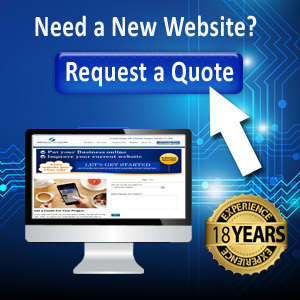 It helps in creating a backup of the most up-to-date version of your site. If you’re running a large-size website that is updated on a regular basis, then VaultPress is the right plugin for you. The plugin not just helps in creating a real-time backup of the WordPress site, but also offer automated scanning, which proves an excellent defense against security threats. However, you’re required to sign-up for VaultPress subscription to make use of the plugin. With increase in WordPress popularity, the security concern regarding protecting WordPress site from getting attacked is also on a rise. Though there are ways that can keep your website protected against attacks, but despite all your efforts the security of the site still might get compromised. So, the best technique to tackle such a situation is to stay prepared with the backup of your site. Sophia likes to develop WordPress websites and earns her daily bread from the same. She likes to stay abreast with the latest tech advancements and also wishes to contribute to the same. For those who are looking to hire WordPress developers that can match pace with the competitiveness can count on Sophia Phillips for it. I’ve used 2 of these utilities a few times. They’re great. I’ve also started using my CPANEL backup service and offloading my entire site, database etc to an ftp server! Can never be too careful with your content! Honestly, that is a good list. However, I would remove Akistmet anti-spam plug-in. It is very efficient but it catches valid comments very often. I have saw many good comments in the spam folder of my blogs. This happens because some blog owners are ignorant and mark as spam comments they do not like or because the commenter is using a commercial website in the website field, so they do not know they are giving feedback to akistmet . Bottom line, I would remove it. There are better anti-spam plug ins. I have been using most of the plugins that you suggested for a while now. The only one I haven’t tried that are on your list is W3 Total Cache. I am kind of skeptical and concerned that it will cause issues with the site. I thought the whole point of WordPress was to make your blog dynamic. Does it not cause problems with new posts not being displayed and things like that?